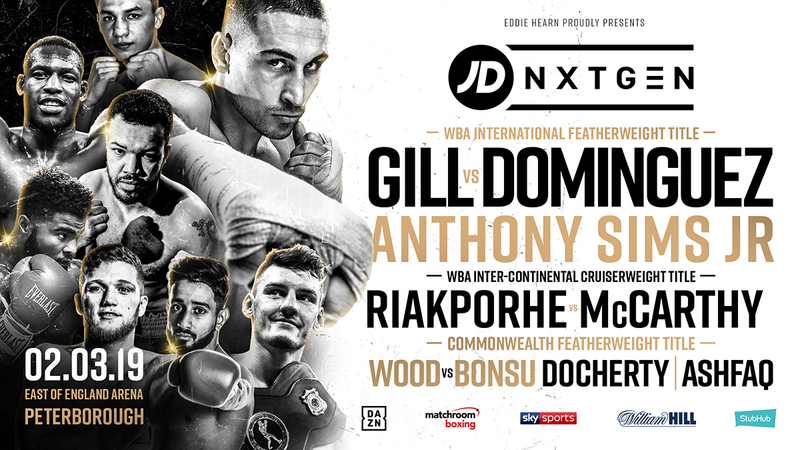 IMPORTANT NOTICE for those attending the JD NXTGEN series boxing where Jordan Gill faces Mexico’s Emmanuel Dominguez for the WBA International Featherweight crown here at the East of England Arena on Saturday March 2. All visitors arriving to the event by car should use Gate 15 which, for security reasons, provides all access to the venue including car parking and to the drop off areas for those coming by car and taxi. Doors will open at 1630 and the first bout will take place at 1635. Jordan Gill faces Mexico’s Emmanuel Dominguez for the WBA International Featherweight crown here at the East of England Arena on March 2. Tickets for March 2 priced £40, £60 and £100 (VIP) are available to purchase NOW from StubHub (www.stubhub.co.uk) and Matchroom Boxing (www.matchroomboxing.com).